Before I disappeared for a few weeks, I asked him a series of questions (via email) about his court appearances. He answered. I asked if he would mind if I posted his answers as an email interview. He didn't. I asked a few more questions. He answered. 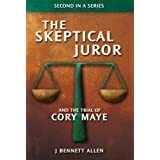 Now through the magic of cut and paste (and some grammatical correction), I offer a first hand perspective of what it is like to go into a Maryland courtroom to fight a speeding ticket. I offer the interview without comment. I offer my thoughts on the interview in my next post. 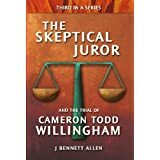 For the extremely dense of you out there, TSJ will stand for The Skeptical Juror and WF will stand for Will Foreman. TSJ: When you appear in court, who represents the State? WF: They normally have just a Forest Heights Police Officer (the last time I was there they had 2 officers, and Optotraffic had 2 reps there as well. TSJ: How is the case against you presented to the judge? WF: The officer reads the statement describing the location time place and speed. He always explains how the machine "self checks itself daily"
TSJ: Would you be allowed to call witnesses? TSJ: Would you be allowed to subpoena people or documents? WF: In advance I believe. TSJ: Would you be allowed to have an attorney? TSJ: Are all the cases being heard traffic ticket cases? WF: Not all just traffic cases, the entire room is just Forest Heights / Optotraffic "offenders"
TSJ: About how long does each of your cases take? WF: It varies. Some judges have a problem grasping the matter. TSJ Did you watch any of the other people present their case? WF: That is the saddest part. Forest Heights is not an affluent area. Many of the people are there because they cannot afford to lose the 40 bucks. At the risk of sounding like an elitist, there is a always a parade of poor uneducated people totally unprepared to defend themselves. People argue their car cannot go that fast. They claim there isn't a school near there. I've even heard "I have lived here for x number of years, I know the camera is there, I always slow down there. It is very, very sad. And that's what makes me so upset! WF: btw: The Wednesday morning courtroom is dedicated to just Forest Heights / Optotraffic cases. 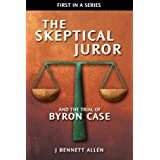 TSJ: Can you elect to have a jury trial? WF: Yes It costs $80.00 and it's elevated to circuit court. TSJ: Can you appeal a guilty verdict? If so, how? WF: Yes, again it's elevated to circuit court. TSJ: Are you told what time your case will be heard, or do you have to plan to be there the entire time? WF: No you must arrive for the calling of the docket and remain there until your hearing. TSJ: What sort of defenses have been successful? WF: I saw a scientist successfully make his case. He was able to dispute the technology used by Optotraffic. I am requesting the transcript from the hearing because I want his name. The Judge heard our defenses simultaneously. We had to wait until the end. We never met, but it was apparent to the Judge that both of our arguments were thoughtful and coherent. In an attempt to expedite he heard us together. Some have gotten off because they were ticketed long after school hours. The majority of the successful arguments have focused on distance traveled between images. TSJ: What sort of defenses have been unsuccessful? WF: The most common is when the accused explains how long they have lived there. That they are aware of the camera's presence. That they make a conscious effort to slow down at the location. Others have unsuccessfully argued that their cars cannot accelerate from the previous traffic light that quickly. Many claim the camera isn't near a school. Our store manager unsuccessfully argued on our behalf for about 6 tickets regarding the cameras violations regarding the camera's placement. Several guidelines found in the state's brochure regarding placement were violated: the camera isn't supposed to be on an incline, it is; the camera isn't supposed to be near a red light camera, it is 350 ft; the camera isn't supposed to be in a speed reduction zone, it is; there was supposed to be a 30 day period when the camera is introduced to a community. Forest Heights camera spent its introductory period on a side street, far off the path. When the 30 days were up they moved the unit to a 4 lane highway with guardrails, State Highway 210, and began issuing citations immediately. TSJ: What is the nominal fine if you fight the case? WF: It depends on the Judge. My most recent session the Judge offers to everyone present that if they plead guilty he would reduce the fine to $2.00 plus court costs of $22.00. TSJ: What is the nominal fine if you plead guilty? WF: I don't know what normal is, just what I stated above. TSJ: Why might someone show up and plead guilty rather than just pay the ticket by mail? WF: They are intimidated by the prospect of appearing before the Judge as well as the police officer that patrols the very streets where they reside. TSJ: What are the conditions of payment? Do people have to pay on the spot? Must they pay cash? WF: You must pay on the spot. They will accept cash or credit cards. TSJ: What if people are unable to pay the penalty? TSJ: What sorts of attitude do people generally assume? Are they angry? Are they subservient? Do they plead for mercy? WF: All of the above. Most are disgusted! Many feel violated and absolutely helpless. Many won't return to fight because they feel it's not worth their time.